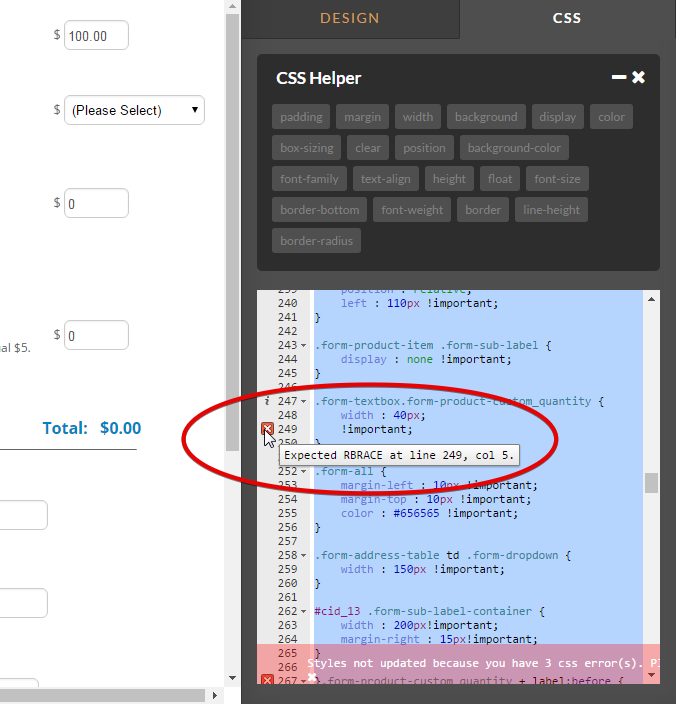 Is there anyone that can inspect my form and tell me what and where and how to fix these CSS errors? I have spent 2 horus trying to update my form but alot of it wont update bc of errors but i cant figuere out what/where they are. can someone PLEASE go through and fix them for me please? I will pay extra - whatever u need to help me. THANK U! 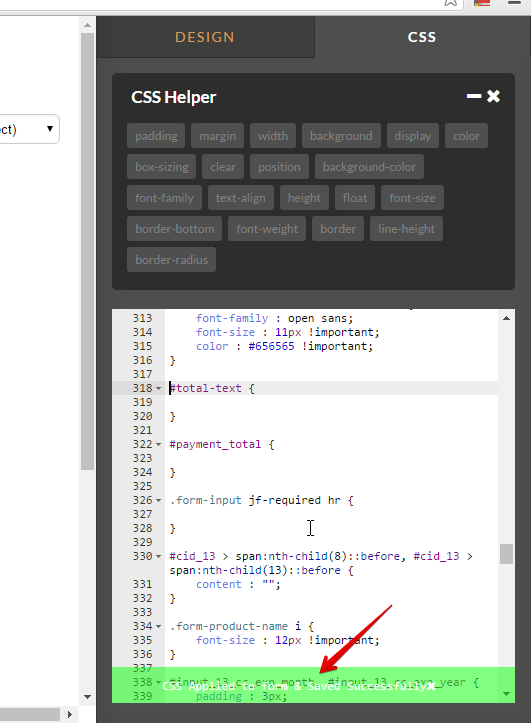 If you hover your mouse cursor over the error icon in the CSS Editor it display a hint on what the error code was about.